Despite being a major world financial metropolis, with surprisingly cheap flights to and from the U.S., Taiwan never seemed to be a top destination for me. Honestly, I’m not sure I even know anyone who has been to Taiwan as a tourist. 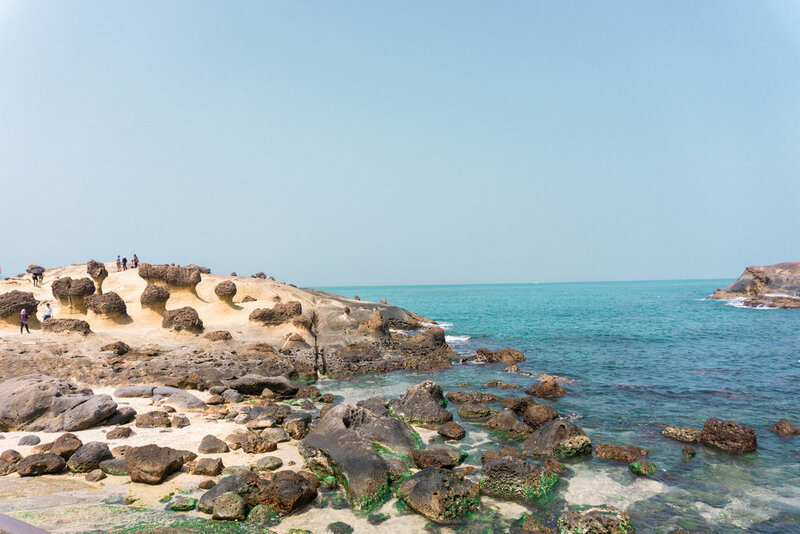 But when a series of unexpected layovers and visa setbacks landed me in this little island city-state off the coast of mainland China, I made it my mission to find all there was to love about Taiwan. 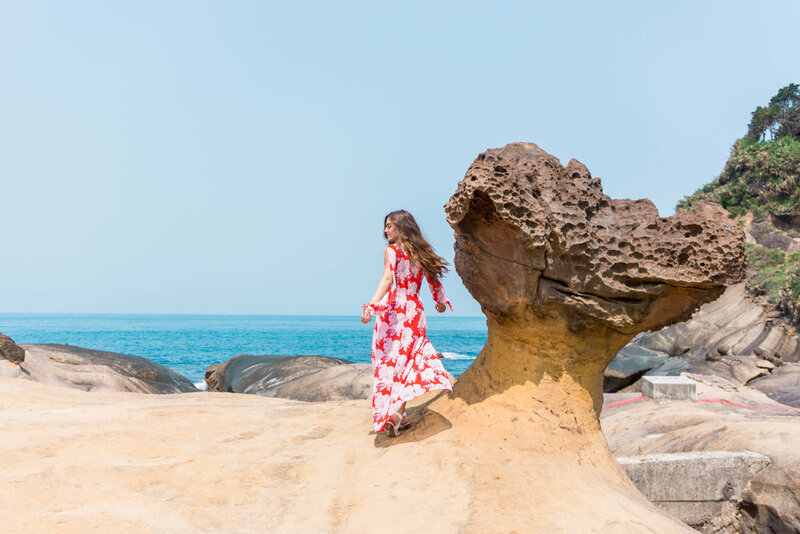 Of course, one week is never enough time to see everything I want to see in a new place, but it certainly was enough to explore the impressive variety of landscapes and cities and — of course — food that Taiwan has to offer. Here are my favorite things to do in Taiwan that make it the hidden tourism gem that it is, with some tips on what to know before you go. Rumored to be the (unofficial) best street food city in the world, it’s no surprise that this was my number one priority waking up on my first day in Taiwan. Because this trip was so last-minute, every organized street food tour was booked for the day. Turning to the Couchsurfing app, I was able to solicit the help of a local named Hannah who had a few free hours to kill, and who agreed to guide me through the streets of Taipei in search of all the best noodle bowls, omelets, bubble tea, and whatever else spoke to our appetites. Our "tour" took place in Gongguan Township, a neighborhood consisting of windy streets & alleys lined with hundreds of carts, tiny food stalls, a few random shops, and those colorful empty arcades that are spreading like an epidemic throughout Taiwan (what is up with this, by the way?!). We split everything from fish balls, to some kind of soy custard dessert with shaved ice and peanuts, to Orh Ah Mee Sua (an oyster vermicelli soup), to cabbage omelette pancakes, to steam buns, to bubble tea with a line of eager patrons stretching down the block. 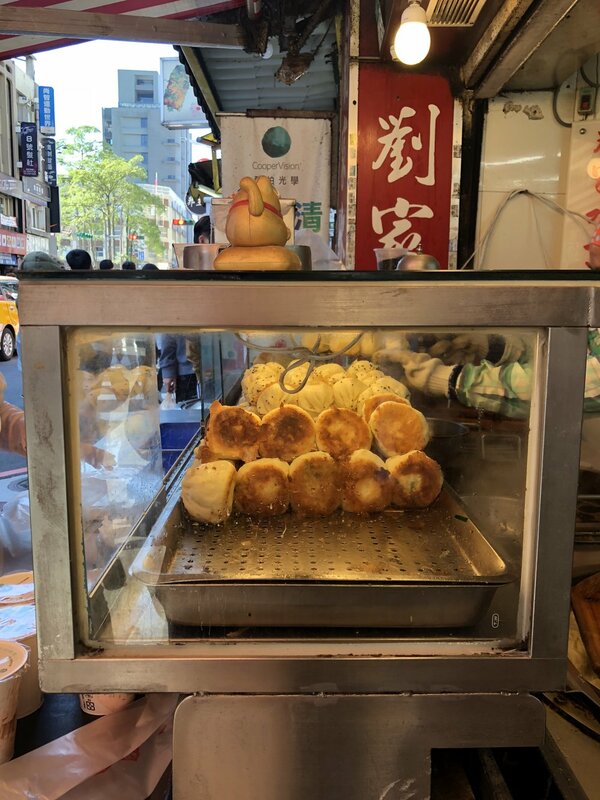 On your street food tour, be sure not to miss beef noodle soup (a Taiwanese staple) and — my personal favorite — gua bao, a steam bun “taco” filled with tender pork belly, peanut powder, and cilantro. Getting around Taipei: Uber is widely available and very cheap in Taipei. The MRT, the Taipei subway system, is also affordable and easy to navigate (although I sometimes got a bit lost trying to exit the station), and can drop you off close to many of the prime neighborhoods in the city. 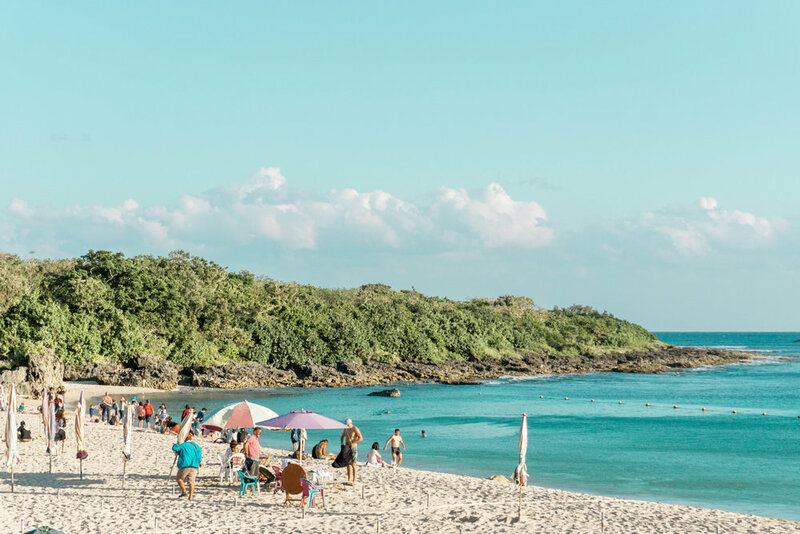 The South part of the island is host to some of the most stunning beaches, including Kenting National Park — a vast protected land area with thick forests walling off almost right at the shoreline. It’s a perfect place to get some R&R, or to do some snorkeling and diving. I stayed at the Caesar Park Hotel Kenting which offers really beautiful and spacious rooms with incredible views, an impressive breakfast buffet, and a path directly to its own private beach area. 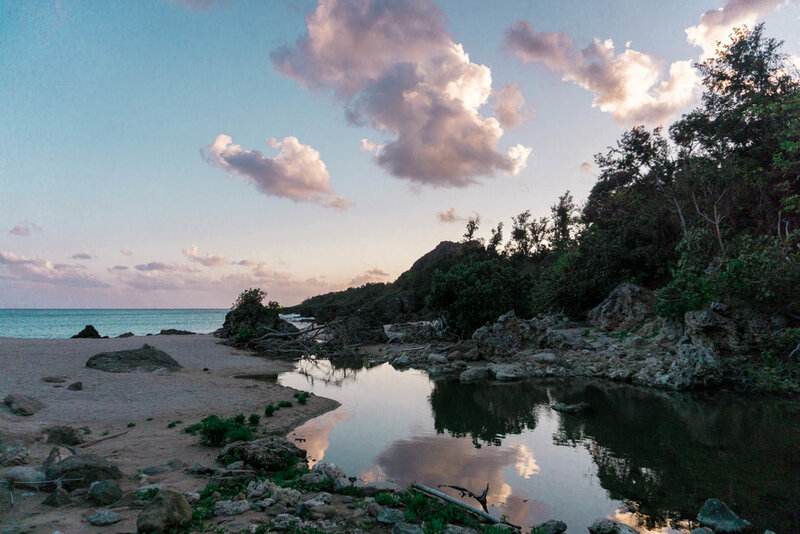 But my main focus on visiting Kenting was its renowned scuba diving. I dove with DivePro in Hengchun (next to Kenting Park) and I couldn’t recommend it enough. Not only did they take me diving, but they also rearranged schedules so I could also squeeze in a free-diving class (diving without equipment by simply holding your breath, which I highly recommend trying out), and had a dive instructor take me on an unofficial one-on-one street food tour (part 2) around the little town there. Note that the weather is such that if you have a muddy dive on the East part of the bay, the West part will likely have great visibility, and vice versa, so keep searching if your first dive isn’t the best. Another great dive spot in southern Taiwan is Green Island, which requires a short flight or a taxi and a ferry to access. Although it might be a bit more effort, if you have the time, it’s a great option for underwater exploring. Getting to Kenting: I suggest splurging on the high speed train, about USD$50 each way, which will get you to Kaoshiung in about 1.5-2 hours. From there find a bus at the Kaoshiung bus station heading to Kenting, or split a taxi with a friend for a much more comfortable trip (mine was about $60-70 total, but split between two people this was fairly reasonable, especially considering how desperately I wanted to avoid the overpacked bumpy bus option). DivePro can pick you up from your hotel before your dives, or you can even stay at the dive shop if you're fine with very basic hostel accommodations. 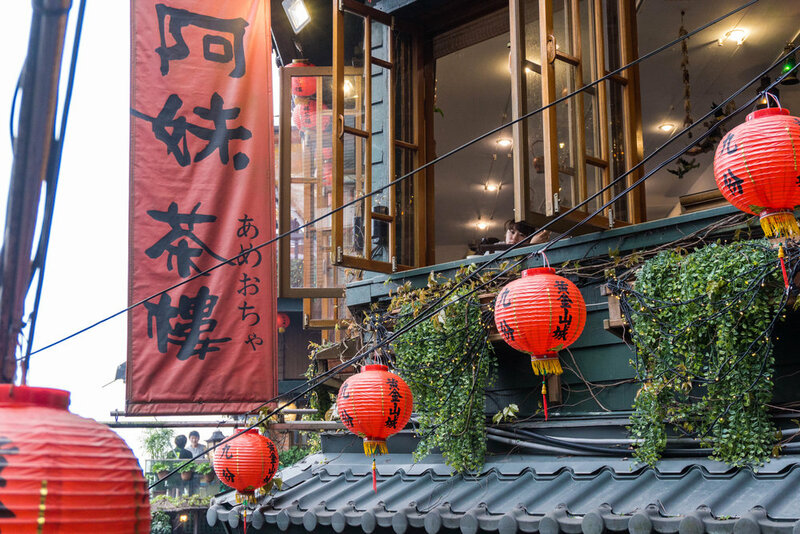 3) Stroll The Streets of Jiufen — “the Santorini of Taiwan"
Located just a short taxi ride north of Taipei is the picturesque town of Jiufen (also written Juifen, Joufen, Chiufen, and a whole slew of other spellings which can be rather confusing). Imagine Cinque Terre meets Santorini meets steam buns and bamboo tea houses, all colored with the chaos of a typical Asian city, and originally built as a haphazard, build-as-you-go gold mining town. It’s charming and serene while also being sort of overwhelmingly crowded, with spectacular cliffside views of the ocean below and, if it’s not foggy, some truly incredible sunsets to admire while sipping endless cups of tea. 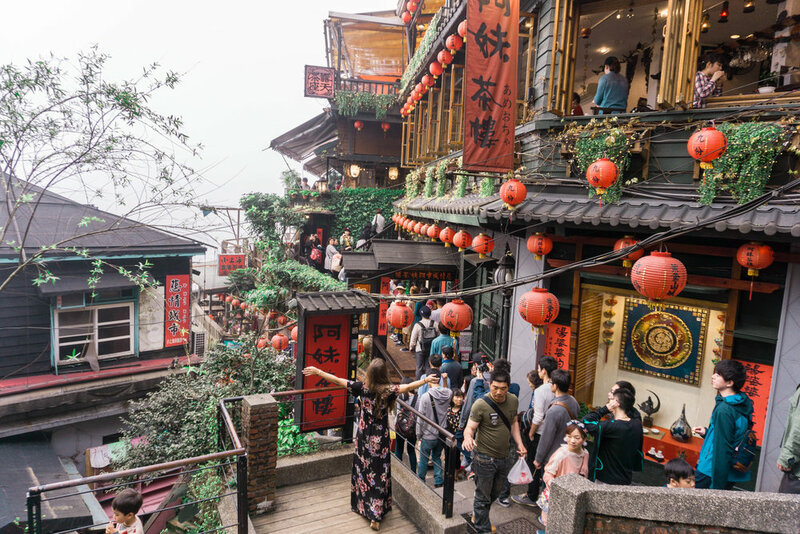 Jiufen is also a great launching point for some other sights in northern Taiwan (see below), so it’s a great place to stay for a night or two (or more) for a change of scenery from the Taipei concrete jungle. I stayed at a bed and breakfast I found on Airbnb, which is conveniently located near the main street in Jiufen (if you haven't used Airbnb before, sign up using this link to get $40 off your first reservation! It's my favorite tool for finding affordable, beautiful, and unique accommodations when traveling). The family who owns the place is extremely helpful and hospitable, and the traditional Taiwanese breakfast spread prepared for us was impossibly huge and impressively diverse. Tip: You won’t find many (if any) Western tourists there. 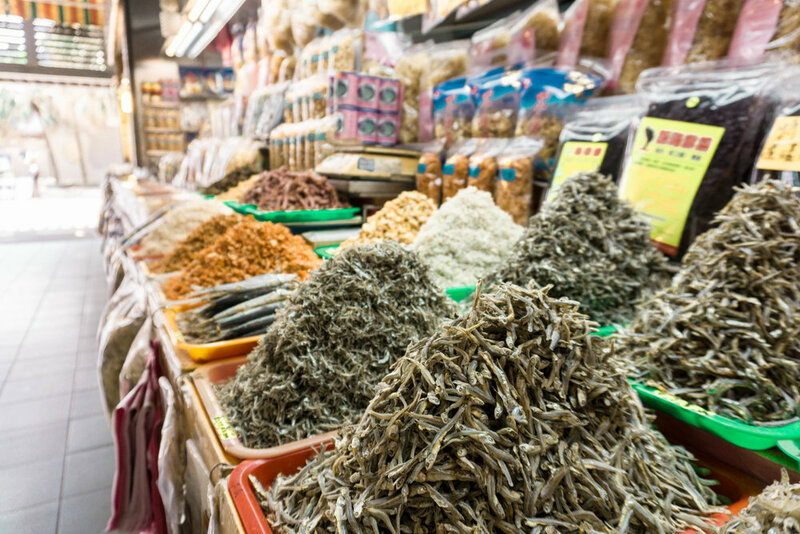 It’s popular among Asian tourists but don’t expect to find a lot of English, and definitely don’t plan on using your credit card. The only ATM we found that would accept international cards was located at the Family Mart at the beginning of town (which we only found after chasing down the one other group of English-speaking tourists in all of Jiufen); without this, we would have starved. Bring Taiwanese cash. Just a short taxi from Jiufen is a really beautiful, tiny strip of land covered in lush green trees and the strangest rock formations you’ve likely ever seen on a beach. These honeycomb and mushroom rocks are the results of water erosion and the geological impact of the neighboring Datun Mountains being forced out of the sea. Pretty impressive. Take a stroll along the cape and try to identify what the rocks resemble (some famous stone doppelgängers include Cleopatra, a dragon’s head, pineapple bread, a soybean, and a bunch of lit candles). There’s also a little market where you can pick up some fresh fruit or mango ice cream for a snack as you explore. By far, not the largest or most impressive of Taiwan’s waterfalls. In fact, the neaby Shiffen Falls is certainly a more remarkable & higher trafficked spot, but if you know me, I’d much prefer a “less impressive” space in favor of a more intimate and private experience. So after Wanggu falls was brought to my attention, I did my research and was pleased to find that there was little on the internet about this area. It’s tucked away in the forest near the town of Pingxi, surrounding by beautiful hiking trails and away from the crowds of tourists and viewing platforms that you’ll find at Shiffen. When I was at Wanggu, it was basically deserted, giving me all the time and privacy in the world to dip my toes in the chilly pools of water and admire the falls and explore a bit of the forest. Bring: Lots of bugspray, walking shoes, a swim suit, water, and snacks. Good chance you’ll want to spend a few hours here exploring, and there isn’t anywhere to buy anything you’d need, so come prepared. The first time I discovered floating lanterns was at a summer festival in Portugal, when my friend pulled up the scene in the movie Tangled (which I hadn’t seen yet) and showed me the hundreds of magical orbs of fire decorating the sky. After a while, my friend convinced me they were real, and that evening at the San Juan festival, I saw them for myself. Truly amazing. Pingxi is famous for these floating lanters, and if you’re lucky you’ll be in town during one of the lantern festivals. But even if you aren’t, you’ll still be surrounded by dozens and dozens of visitors who have come to set off floating paper lanterns into the sky bearing their wishes and prayers. 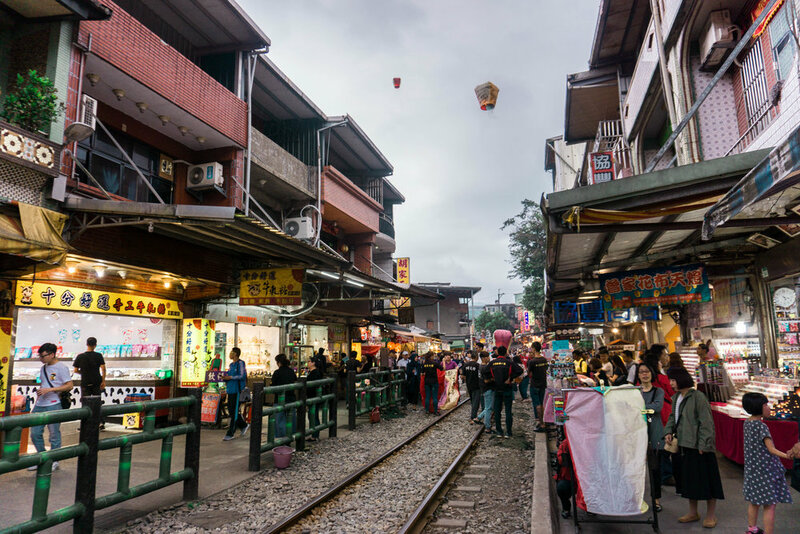 It all happens from a (fully active) railroad track in the main part of town, lined with lantern shops and street food stalls. Buy a paper lantern (please find one that is biodegradable!) from one of the vendors, decorate it with your prayers using the ink and calligraphy brushes, and send it into the sky. It’s a really unique experience, and it’s so evident that everyone there is just as enchanted by the childlike magic of the whole thing as you will be. 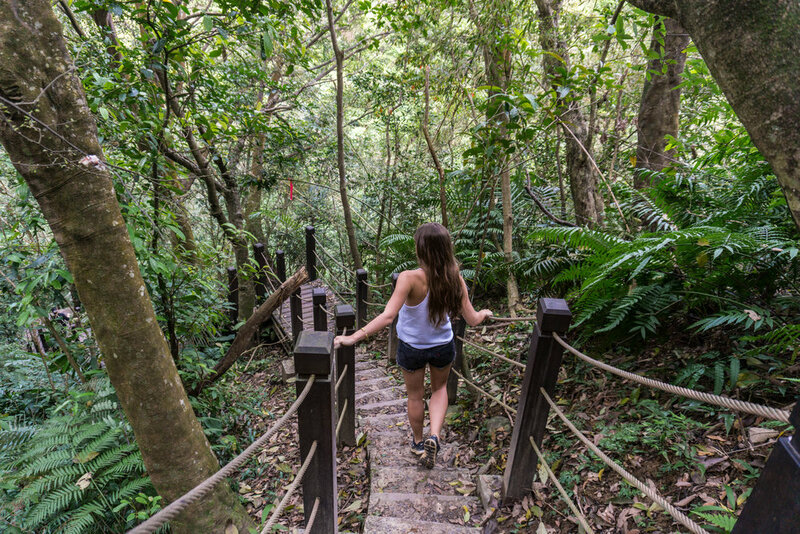 Located in the center of Taiwan, getting to Sun Moon Lake is a bit of a trek, but it’s a wonderful spot to visit if you’re looking for some nature, solitude, and local culture. The area is surrounded by villages and people who have retained their local heritage, and even speak languages and wear clothing specific to that tribe and different from what you’ll see and hear anywhere else in Taiwan. You can take the high speed train part of the way, then hop off at Taichung, get the Nantou bus (or a taxi) straight to the lake. Total travel time from Taipei is about 2.5 hours. You need at least two days to see Taroko properly, as the trip from Taipei to Taroko alone is 3 hours by taxi (and quite expensive), or you can save money by taking the train (from Taipei to Hualien), transferring to a bus or taxi to get into the park. Having a scooter or bus pass for the day is helpful when getting around the park, because it’s massive and you simply won’t have time to see and explore everything if you try to walk from place to place. 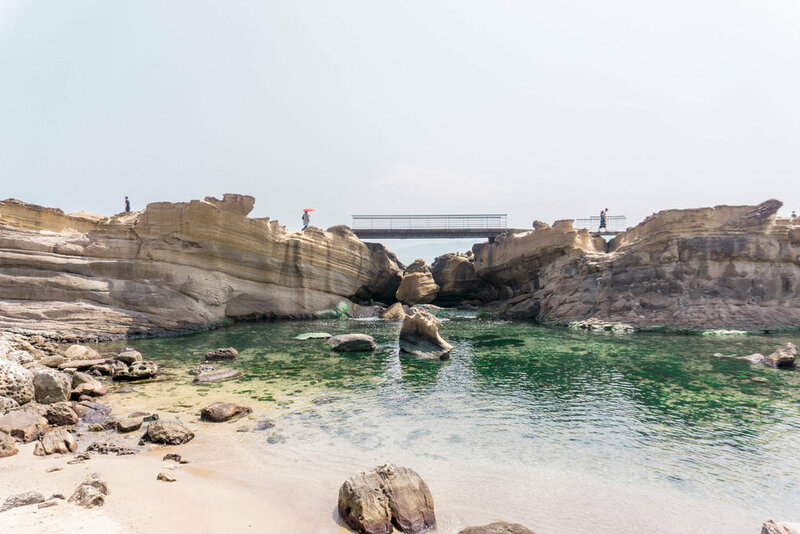 Spend a day (or more, preferably) walking and hiking the mountain and forest trails, swimming in pools of turquoise water, snapping photos on suspension bridges, and soaking in all the remarkable beauty this mass of untouched land has to offer on your Taiwan tour. I find Taiwan to be incredibly underrated as a travel destination. It has so much to offer: bustling cities, charming towns, stunning temples, endless beaches & mountains & lakes & forests, incredible food, and the kindest people. And it all feels oddly untouched by the Western tourism industry. With this comes a sense of purity about the place, and the feeling that you’ve discovered something unknown by your friends and family back home; but it also means that it’s not exactly designed for Western tourists. It can be tough at times to find ATMs that accept international cards, or vendors that accept anything other than Taiwanese cash, or even people who speak English. 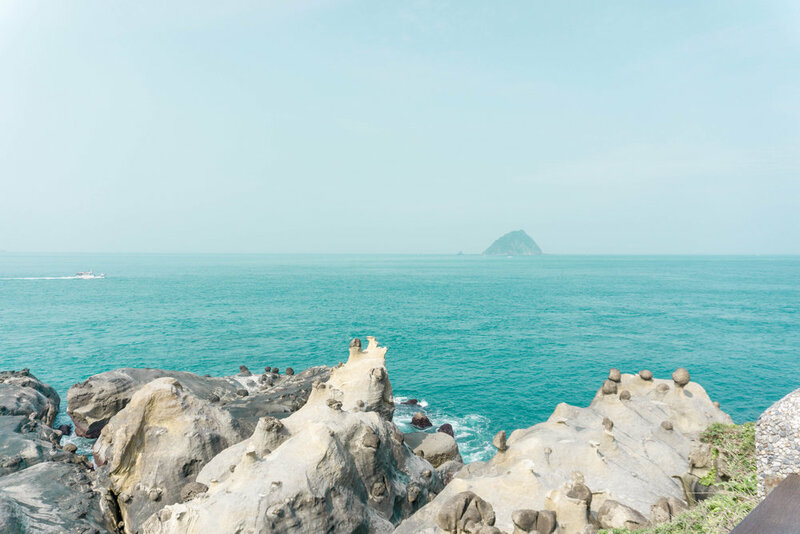 Many of the spots you’ll want to see around Taiwan are quite spread out and travel time between them all can take hours and require navigating the bus and train system or splurging on pricey taxis. I say none of this to dissuade you from visiting, because obviously I fell in love with the island and desperately want more people to see it for themselves. Rather, just go knowing what to expect and prepared (with extra Taiwanese cash!) to maneuver the potential tourist obstacles, and you’ll be set to fall in love just as I did. Have anything to add to this list? Let me know in the comments below!